Coming up in this next week are two events that may encourage the government to accept that climate change is real and that the people are demanding positive action. Here is a chance to show your support and be part of a surge ……..
On Monday ABC TV at 8.30pm on Four Corners. A trailer and further information here. 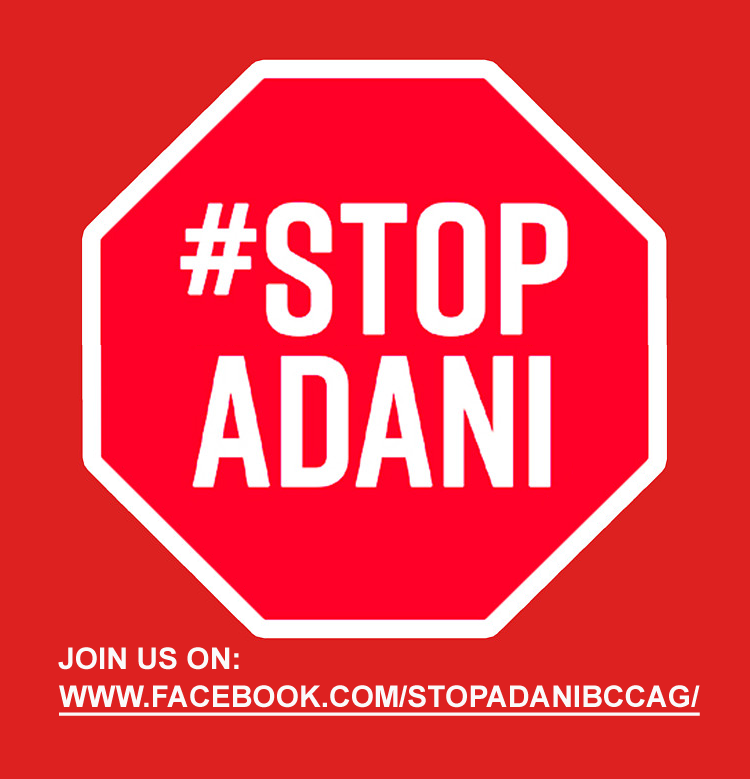 The #StopAdani movement is uniting in a big day of action on Saturday, October 7. Join us! Will you join us to create a human sign in Melbourne so big it can’t be ignored? What to expect: A fun, festival atmosphere with picnicking, music, singing, face-painting, sculpture-making, a giant human sign and in true Melbourne style, a bit of footy fun! Let’s kick some goals for the reef and Stop Adani! Together, we can stop this mine and create a better world, powered by clean energy, where our reefs and communities thrive. Watch for the BCCAG Sign at the Event! A BCCAG Group will be in the front carriage of the train which departs from Sandringham on Sat 7th at 11.10am. We will get off at Melb Central and then by tram ​to Princes Park to arrive just after 12.00 midday.